THIS IS A NUT FREE ZONE. Food nut. Not human nut. 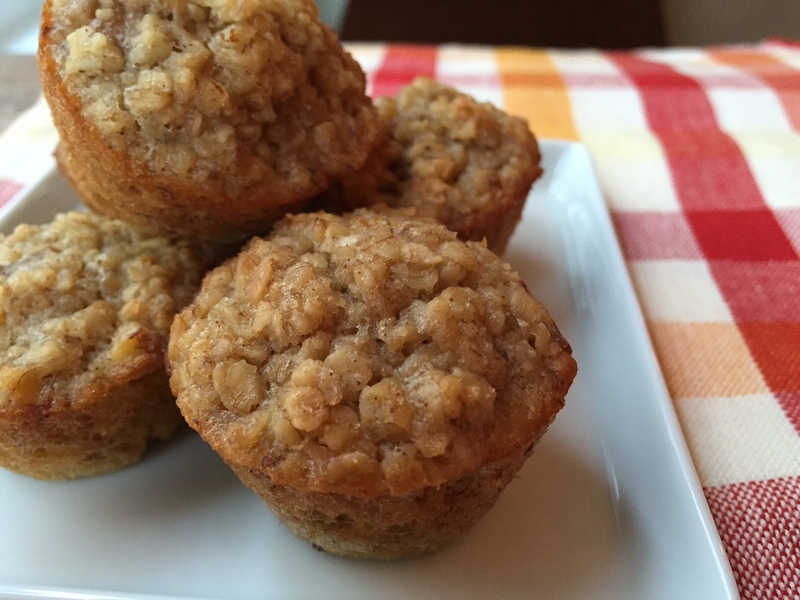 I came up with this recipe for banana bread mini-muffins during a snack time self-reflection. THAT doesn’t happen often… When I was giving Joey a snack that included a banana + peanut butter the other day, I realized something: He CAN eat peanut butter. He can and does eat peanut butter multiple times a week [if not daily]. There are thousands of kids that cannot eat peanut butter or any nut for that matter because they are allergic. I don’t know what I would do if Joey was allergic to peanuts. Actually I know what I would do—- but it wouldn’t make life with my toddler any easier. 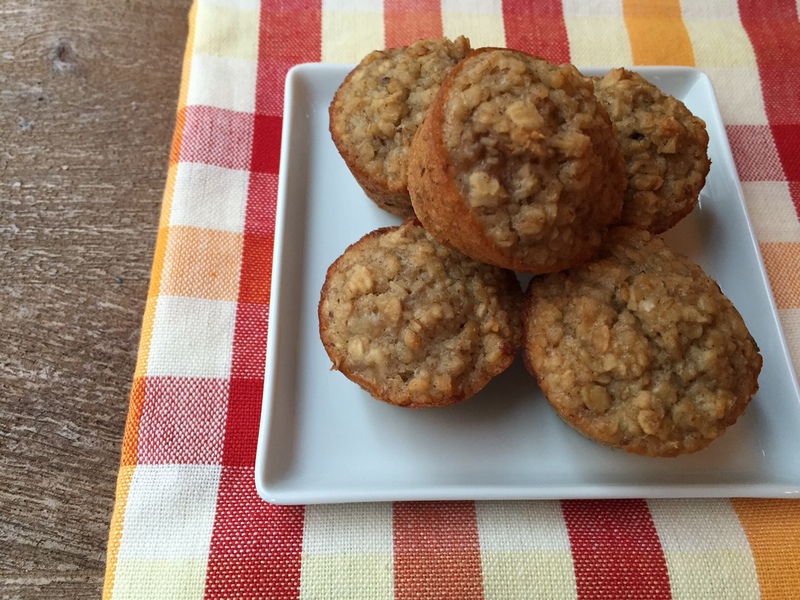 Like all of my recipes on this blog, my hope is that these banana bread mini-muffins provide a new and tasty snack alternative for your kiddos— specifically those that have to miss out on all the peanut butter recipes out there. When Joey isn’t asking for muffins he’s asking for popsicles! Shall we continue to the recipe? Lets go! Banana bread is delicious. Banana bread in the form of a muffin is delicious. And the fact that banana bread mini-muffins please the solid food-eating members of my family makes this Momma happy! I was a little worried that ONE banana wouldn’t give me the banana bread flavor I was going for with this recipe. Thankfully I proved myself wrong [especially since I only had one banana on hand— I couldn’t afford to mess up!]. If you decide to double the batch, these muffins freeze and reheat well. It worked in my favor that I only had one banana because after a day or two of these banana bread mini-muffins Joey was on to something else. On to eating something else. 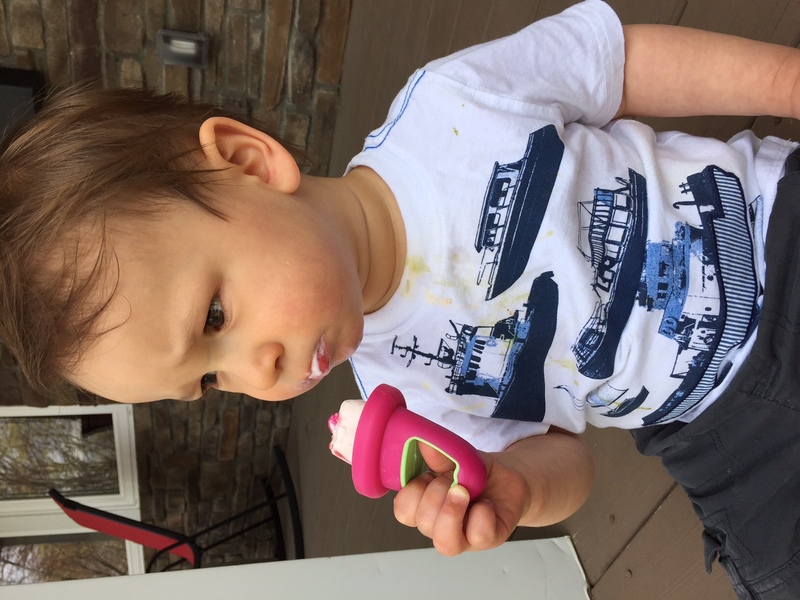 The taste buds of a toddler are something else, am I right?! Preheat oven to 375. 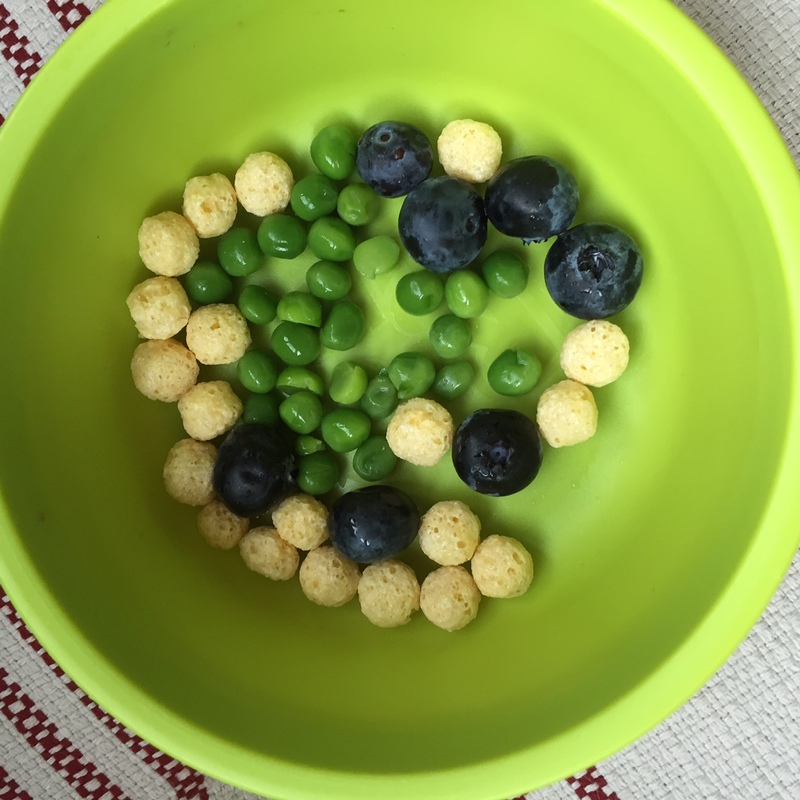 In a large mixing bowl, combine all of the ingredients and mix well. Spoon into greased mini muffin tin pans. Bake for 20 minutes. Not only is this recipe peanut free— it’s gluten free too. I guess it’s time to admit I gave a muffin to Joey with a spread of peanut butter on it… completely unnecessary. But he was asking for more! Don’t fear the ingredient list OR my non-official way of baking. Mix it all together, bake it all together, and you get delicious banana bread mini-muffins! Wow! I love that you found a way to keep these so healthy! And no flour too. I am sure the GF peeps will be just as happy as the peanut-free folks about these tasty little snacks. Johnny loves muffins or “special treats” as he calls them! I love having a stash in the freezer for a quick snack! Pinning! Exactly!! I love how involved Johnny is with you and mealtime. So grea! I’m so thankful my girls don’t have nut allergies either. 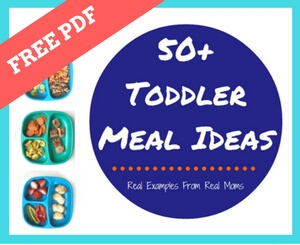 It really does make things so much easier on the snack front! 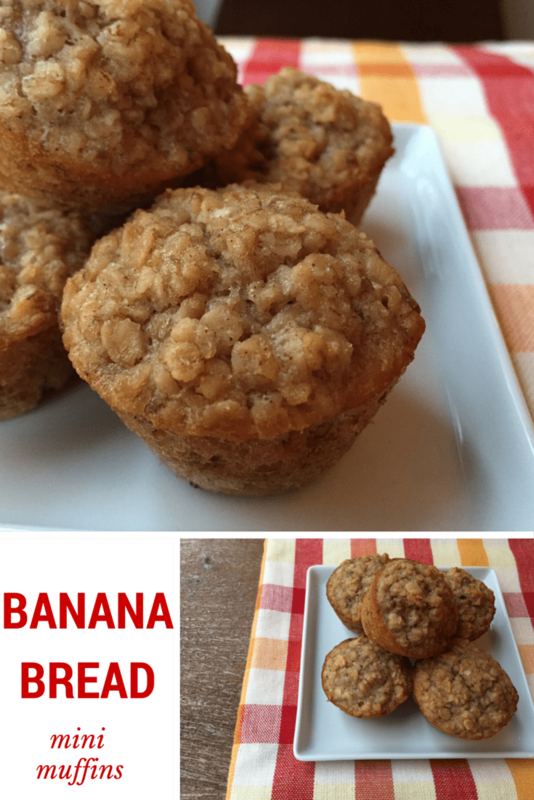 As you know, bananas are not my thing, but my girls would love these and I love how easy they are to make! I love that I can whip this up anytime I want a snack as I always have all of those ingredients on hand! Exactly Min!! And I love the portion size… Keeps me in check! Have been loving banana bread lately – but the dark chocolate/walnut variety :). Will definitely try these – love their simplicity and use of oats! And perfectly portioned. Pinning! Jenny I’m adding walnuts and chocolate to my next batch!! Thanks for the inspiration! I love this! I just made this for my son who is asleep now, but my husband tried it and said “um, I think you need to make some more of this for us” – ha! It’s sooo good!